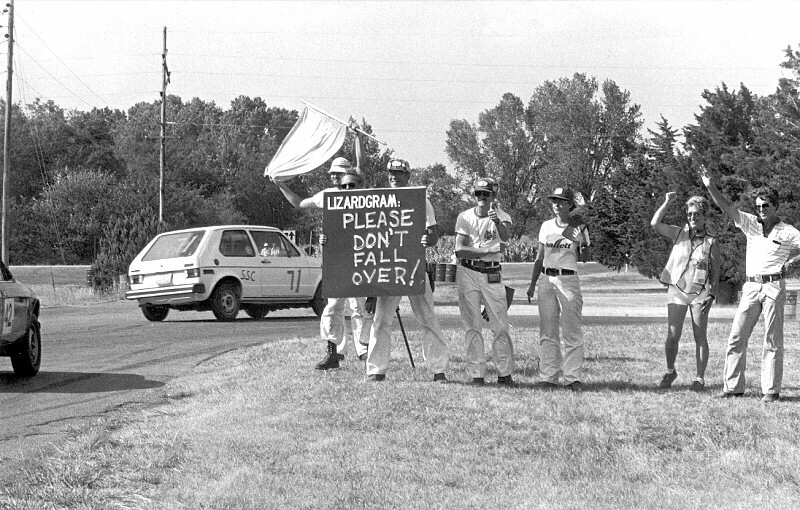 The origins of the Leaping Lizards corner crew date back to the the late 1960’s, when a small group of five or six people from Kansas City were working corners at the local road race tracks. By the mid-70’s, the number of Kansas City corner workers had grown to about 30, and it was at this time that the group got its name. 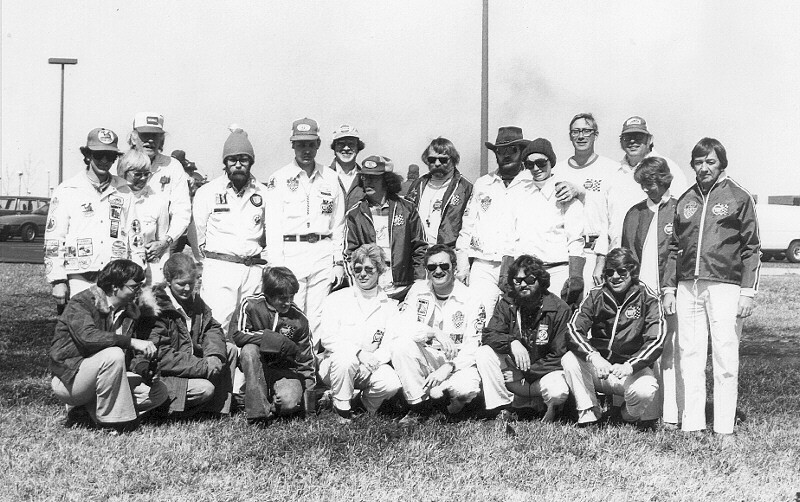 On a cold spring day in 1973 at Mid-America Raceway (St Louis), some of the workers were lying in the sun on the track between races trying to get warm. A group of showroom stock cars, with showroom stock mufflers, was let onto the course without anyone telling some of the more distant corner crews that they were out there. 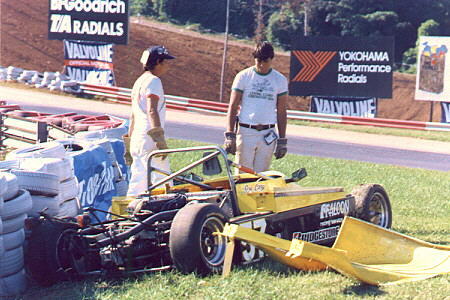 As the cars came to the corner, the workers leaped to their feet and off the track. One of the drivers said it looked like a bunch of lizards leaping off a hot rock. The name ‘Leaping Lizards’ stuck. 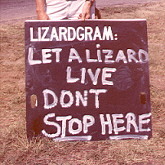 Russ Scholta, who worked with the Lizards before becoming a driver (which is not uncommon), worked for Quaker State Oil and thought it would be good publicity for the company if they sponsored the Lizards. Quaker State liked the idea and so the Leaping Lizards became the first corner crew to have a national sponsor. Quaker State provided hats, shirts and jackets with their logo on the front and the Lizard logo on the back. They also gave banners to display on the corner station, patches, decals and, of course, several cases of oil. 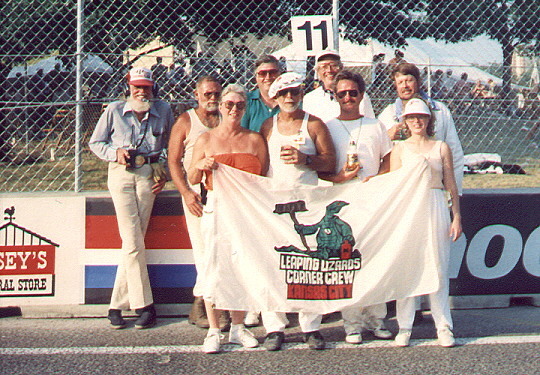 The Leaping Lizard logo was designed by Kansas City artist/driver Bob Burrows and appears on most race cars from the Kansas City Region. 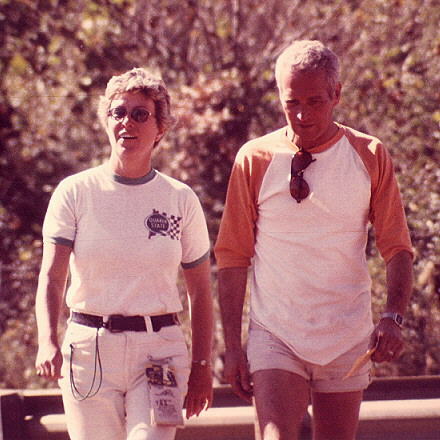 The Lizards sometimes also give the decal to special racers, such as Paul Newman when he was running his own car at the Runoffs. 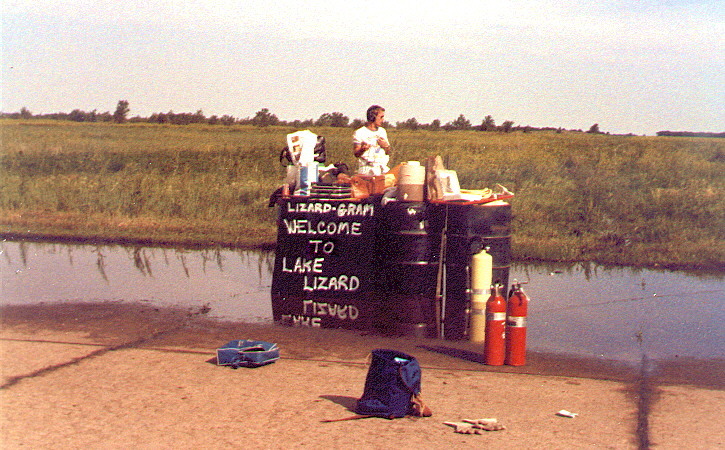 They also had a message board called the Lizardgram, made by Tony Giordano, that was used to give messages to the drivers on the pace laps, and a flag to display on the corners so drivers would know where the Lizards were working. 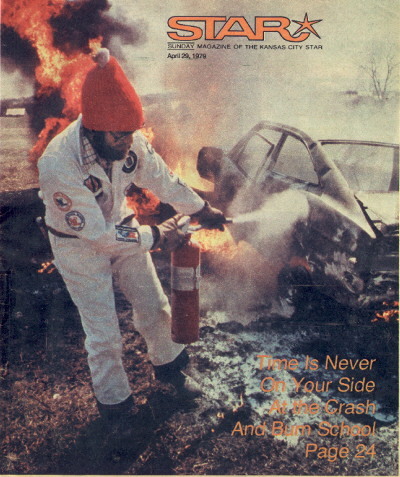 In 1979, a Crash and Burn school run by the Leaping Lizards was featured on the cover of the Kansas City Star magazine. Now called Crash, Fire and Rescue (CFR) schools, these are still organized by the group every other year. 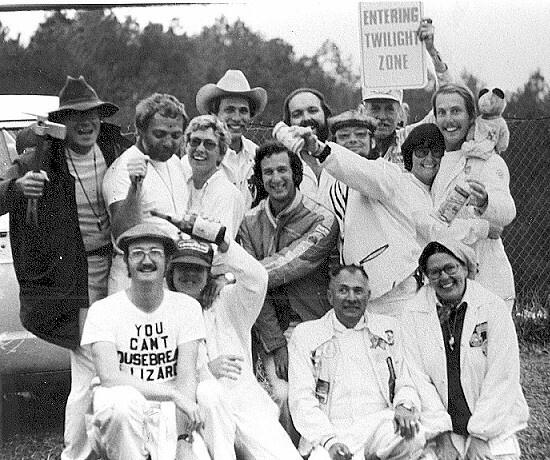 In the 1970’s the Lizards first went to the Runoffs and there have been some members of the group at every Runoffs since then. Four Lizards have been MidWest Divisional Administrators of Flagging and Communications, and two have been National Administrators of F&C. Some of the current Lizards are second-generation kids who grew up at the races. We hope the tradition goes on for more generations to come.